At CNN Newsource, we invest in staying ahead of the big issues that impact the business of news and we share our findings with you, our affiliates, through our annual thought leadership whitepapers and Point-of-Views. For previous year’s PoV, click here. 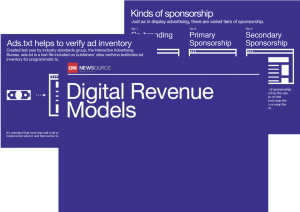 In this year’s PoV titled Digital Revenue Models, we take a scan of the current landscape for digital advertising models especially those relevant to news publishers. 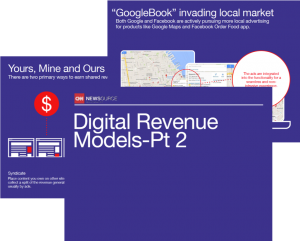 Using a combination of third-party research, case studies and best practices, we outline the trends and areas to watch as publishers seek to optimize their digital revenue. We take a look at today’s digital ad models and examine the advantages as well as challenges that derail publishers. In Part 2, we look at some of the newer opportunities to generate revenue by syndication – and the pitfalls that come with those platforms.